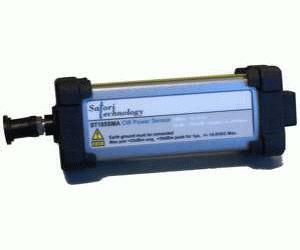 The ST185SMA series power sensor is a complete miniature RF & Microwave power meter. It contains a CPU which controls the sensor, processes the measurement results and operates the interface. All measurement data and settings can be transmitted via a USB interface to and from a PC. This gives the concept of using a PC as the user interface in classic microwave power measurement.